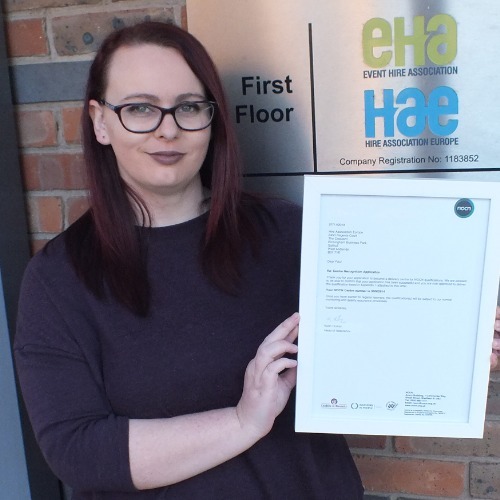 HAE EHA is committed to promoting hire as an attractive career choice for new entrants to the hire sector, and in supporting our members by offering tailored training and skills development. At recent meetings with hire sector leaders, the difficulties the sector is experiencing with recruiting and retaining motivated, strongly-performing colleagues was highlighted. In response to the issue HAE EHA has prepared a ‘Skills Pledge’, which is designed to meet the above objectives. The pledge is intended to provide practical support for members, and to focus activity around recruitment and retention in cooperation with key partners such as CITB, DWP and BuildUK. Along with the continued development of training provision to provide an attractive Career Plan for new entrants and existing colleagues alike, HAE EHA needs the help of all of its members to work together for the future of our industry. Work in partnership with DWP and Schools and Colleges (HAE’s Career Path). The Pledge was eagerly signed by all those present who immediately recognised the strength in working together, and committed their full support in achieving the aims of the pledge. Following the meeting we have had a continuous stream of enquiries to sign up too.